Heat pumps are wonderfully efficient heating and cooling systems, and well-suited to Richmond’s moderate climate. 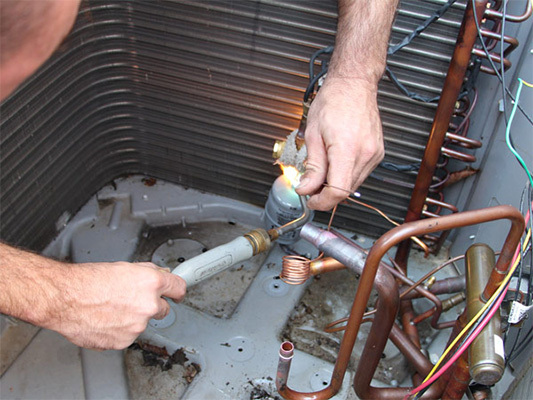 But in order to perform at their best, all heat pumps require inspection, service, and occasional repair from a company you can trust. 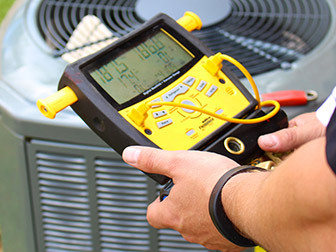 Here in Richmond, locals trust Bradley Mechanical for timely, expert heat pump repair. In 2019, we’ll be celebrating our 50th year in business; this reflects our dedication to constantly expanding our skills – and to going above and beyond to serve our customers. We’re proud to maintain an A+ BBB rating as well as customer satisfaction scores in the top 2% of our industry. Every year, heat pumps become more popular here in Richmond. And today you’ll find heat pumps of every size, type, make, and model. 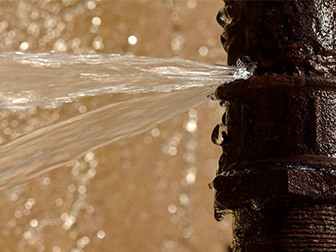 Each and every one of these be expertly repaired by Bradley Mechanical’s certified technicians. Whether you live in Richmond, Glen Allen, Midlothian, Chesterfield, or nearby, our heat pump repair team always has the answer. 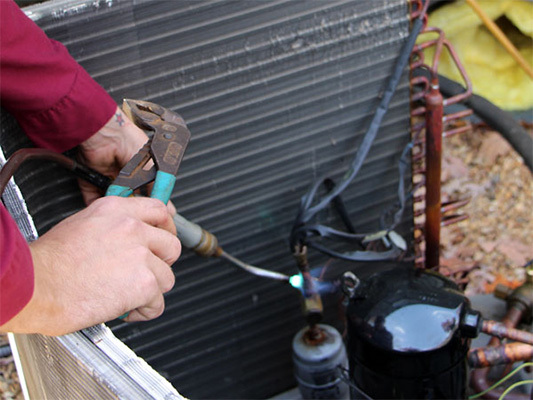 There’s a good reason why more and more local homes and businesses rely on heat pumps. 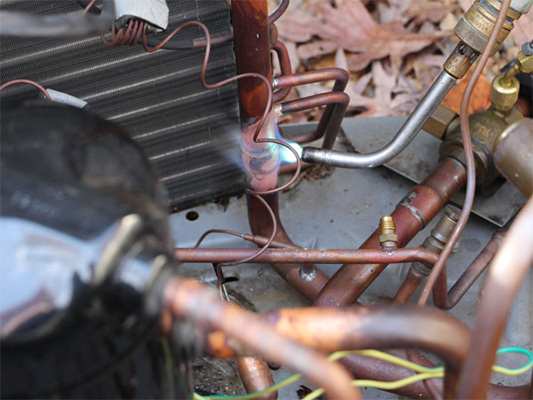 Unlike furnaces and boilers, heat pumps don’t burn expensive fuel to generate heat. Instead, they transfer heat in much the same way that your refrigerator does. Moving heat is more energy-efficient than generating it, so heat pumps can save on energy costs year-round. 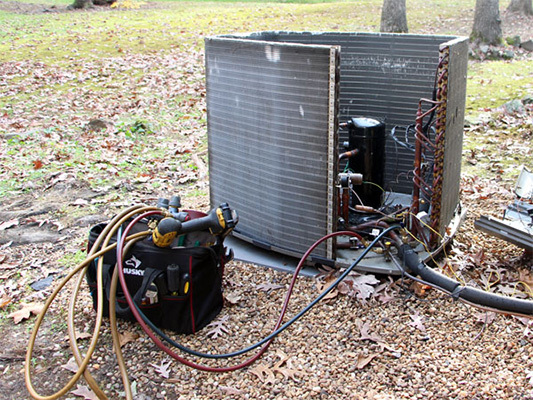 Heat pumps transfer refrigerant between indoor and outdoor units to move heat where needed. This refrigerant is used to both absorb and release heat. 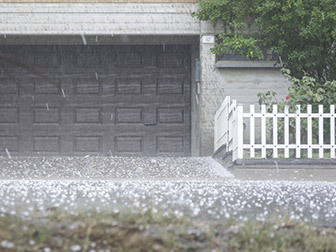 In winter, the refrigerant absorbs exterior heat, and releases it inside your home; in summer, it absorbs interior heat and releases it outside. In order for this to happen, many systems need to be functioning correctly; when they don’t, we can help. 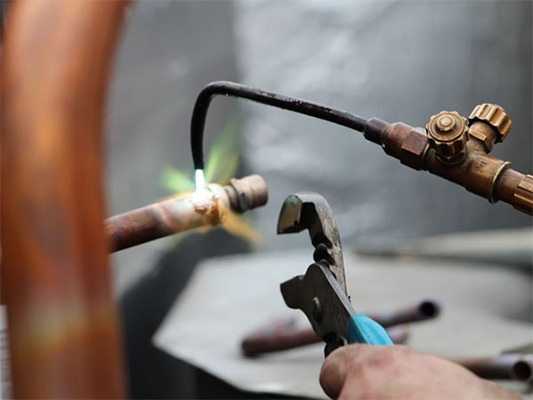 Our certified technicians know each and every part of the heat pump, from key components like the compressor, condenser, and reversing valve down to the smallest connections. You can count on them to identify any problem. You can also count on them to clearly explain the issue to you – and provide an estimate – before beginning your heat pump repair. 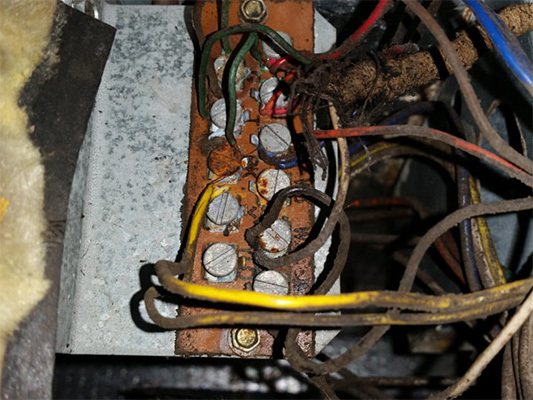 If you suspect that your heat pump isn’t working correctly, the first thing you should do is check your thermostat. You may find that simply updating your settings gives you the comfort you’re been missing, and that no repair is required. Modern heat pumps are effective enough to keep you comfortable throughout the range of temperatures we experience in Richmond; if your thermostat’s temperature settings and the room temperature don’t almost always match, your heat pump isn’t running efficiently. Check the air coming out of your vents; it should always feel either cooler or warmer than the surrounding air. 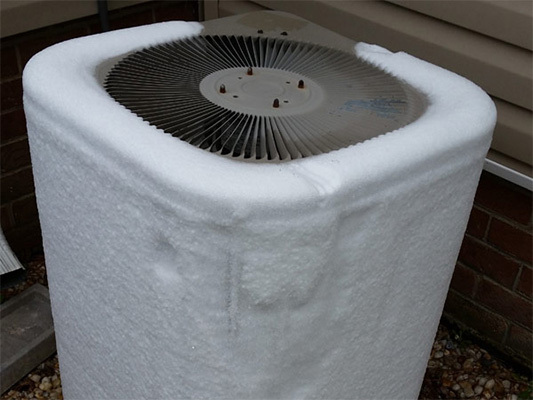 If your heat pump is pushing out room temperature air, or hot air when you were expecting cold (or vice-versa), you should call a repair service. Heat pumps are also nearly silent. 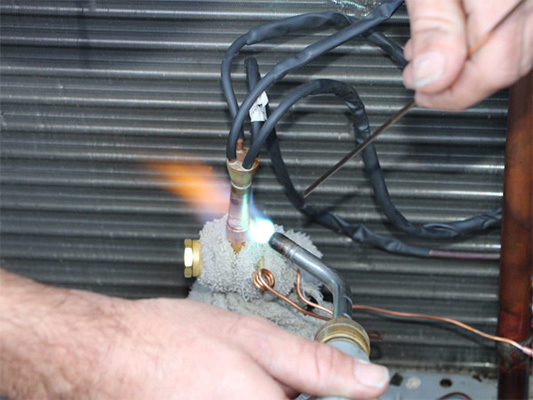 If your heat pump is making much noise while operating, you shouldn’t delay in scheduling a repair. 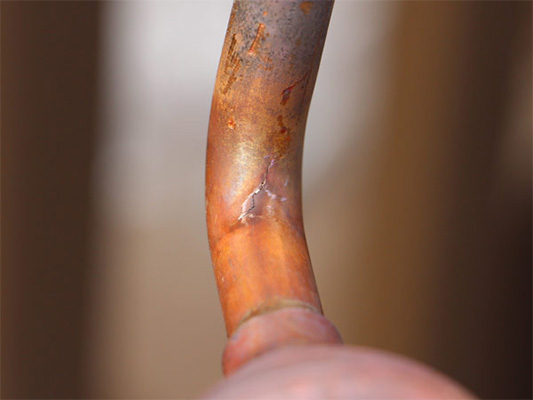 Think your heat pump may need a repair? 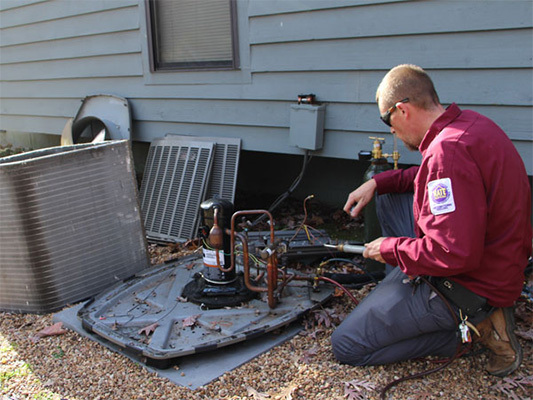 Give Bradley Mechanical a call and “We’ll Get You Outta the Fix You’re In!” We’re proud to keep heat pumps running smoothly in Richmond, Chesterfield, Glen Allen, Midlothian, and throughout Central Virginia. We’ll be proud to serve you, too!